Last Updated: 17 Dec 2014. All people, even the busiest, have some spare time. Many people generally waste their spare time. Hobbies are aimed at utilizing the leisure times in useful and profitable activities. There are several hobbies like stamp collecting, coin collecting, antique collecting, photography, painting and drawing. They are costly. My hobby is gardening. For this, one need not spend a large amount of money. Further, it gives quick dividend for the work you do. One need not invest money or expect help from others. We have a strip of land around our little house. I have raised a bed for growing vegetable yielding plants at the rear of the house. I have planted beautiful flowering plants like Rose, Jasmine and Chrysanthemum. It is a treat to watch these plants flower. Some of them flower in the day time while some other during night. The pleasant fragrance that emanates from them is refreshing. I spend two hours each morning for gardening. Though we have electric pump, I draw water from the well manually for my garden. I consider this not as labour but as a form of physical exercise. I weed out the unwanted plants and manure and trim the plants. When I pick the vegetables, I derive the satisfaction of having done something. My friends envy my roof garden and question me as to how I find time for my hobby. By Rohit Pawar / In Maharashtra. My hobbies are playing in a ground. My planing and strategy are the implementation in a playing. The game undertaken the game in a logically are the different in a good chances in games are the efforts in a hard work in a ground level in a different level game in hard work are and efforts and its practices are the future the carriers in good levels in. By Aditi / In Meerut. Hobbies are a part of our life. I ihink everyone should have atleast one hobby. My hobby is reading (motivational)books. I am evid reader of these kind of books everyday atleast 10-15 min. I give to my hobby. Without reading it I am not feel so much relax. By Ravi Kumar / In Madya Pradesh. I am college going student .As no one keep on can study 24 hour everyday.Generally after study of 2 or 3 hour we require refreshment this spare time can be used for hobby .My hobby is playing out door game with friend like other hobbies such collecting coin, stamp, antique gardening, drawing, and painting. From childhood day I used to play cricket ,football .I won many medal and exciting prizes . It raise my self confidence and enthausm. By Kamalakannan Mohan / In Salem, Tamil Nadu. No one can work for ever. We need a spell of rest after our daily work. It is not to say that one can be lazy. We must spend our time usefully. We must necessarily have diversions that would refresh us. The hobby is such a leisure time activity. It gives us joy. It provides us a welcome relief from our daily routine which makes us normally dull. There are many hobbies to pursue in our life. The mojor hobbies are stamp collecting, photography, bee keeping, gardening and read books and novels and the like. We cannot pursue many hobbies at a time. ‘One thing at a time’ is a golden rule. Hobbies differ from man to man according to his taste, likes and dislikes. Hobbies are only pleasure time pursuits. We cannot have them as our profession. Like different professions hobbies are also very different. 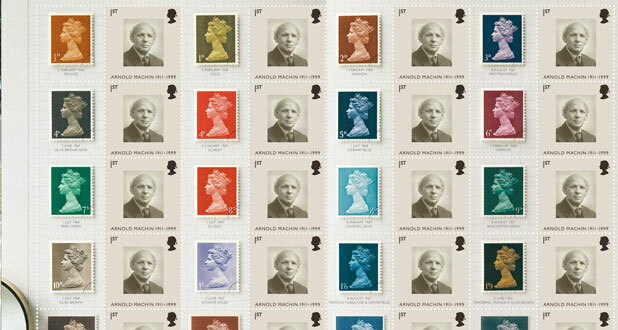 A philatelist collects stamps. An asporiast keeps bees. A numismatist takes a delight in collecting diverse coins. So go fishing and some take to photography. I am interesting in gardening. We have a beautiful garden in our backyard. We grow flower plants and vegetables there. I have a craze for cultivating multicoloured flowers. My hobby gives me pleasure and profit. The choice of a hobby demands greater attention. If we choose hobbies not suited to our status, and finance, it will be harmful. One should be careful in choosing a hobby. People who do too much of table work engage in hobbies that demand physical exertion. Too much desk work will lead to inertia and one will lose his stamina. He may become flabby and stout, unable even to climb the steps. Physical exertion is very much essential to keep us strong and trim. For instance my hobby, gardening, calls for physical work. It gives me a break from my studies. A hobby is a must in life for everyone. It adds spice to our life. It breaks the monotony of life. One gets physical and mental refreshment through hobbies. Hobbies open the windows to many a joy that is essential to our life which is both pleasurable and lucrative. By Gandhi / In Delhi . By “hobbies” we mean activities that we do for pleasure and not as our regular business. Pursuing hobbies is the best way of enjoying ourselves and at the same time doing something useful in our leisure hours. As Lord Brougham said, “Blessed is the man, who has hobbies”. And I have several hobbies. I have been loving gardening since my boyhood. I enjoy watering my garden in my free time. It gives me enough physical exercise and sends back to my work with renewed zest and vigour. I grow flowers as well as vegetables. I take a special interest in the cultivation of roses. I beam with satisfaction when I cast my luxuriant garden. The sight of the lovely garden is increasingly refreshing. My second hobby is stamp-collecting. I have collected hundreds of stamps. I have arranged them of five books. My uncle, who often goes abroad on business, has been helping me to collect rare stamps. He sends me foreign stamps from the places he visits. Whenever I have a little leisure I sit down at a table with my precious stamp-books arranging new stamps in them and writing in names fo countries. Each stamp has a story to tell me of distant lands and strange people. Looking through the stamps. I can follow the history of nations. By Kannan / In Salem, Tamil Nadu. ‘Hobby’ means a favorite occupation undertaken by one during one’s leisure time. Without any one’s intervention or compulsion, it is done as a recreation from regular hard work. It is more useful to undertake a hobby than to waste the time. Every one gets a good time after his hard work. Workers do not work for more than Eight hours a day. They have to spend about eight more hours before they go to bed. These hours can thus be spent usefully. It is wise to select a hobby. It provides a choice source of entertainment. Our minds get freed from the mechanical duty. It is different from work. We work for our livelihood but we undertake a hobby for leisure only and for mind’s refreshment. There are many items like gardening, stamp collection, wood work, drawing, painting, reading, and photography. We do all these according to our taste and purse. We feel pleasure in pursuing them. Hobbies are of great value. They help us develop a special skill. A person, whose hobby is photography, gets a special skill in that art. Some hobbies bring us money. Gardening is profitable and healthy. We can sell the products also. Hobbies help us to develop patience and perseverance. We forget our daily cares for some time. Hobbies have a great educative value. It is necessary for every one to practise any one of these hobbies.